I tried this recipe when my mother-in-law visited us in Delhi, and since she does not eat eggs, I wanted to bake an egg-less cake for her. 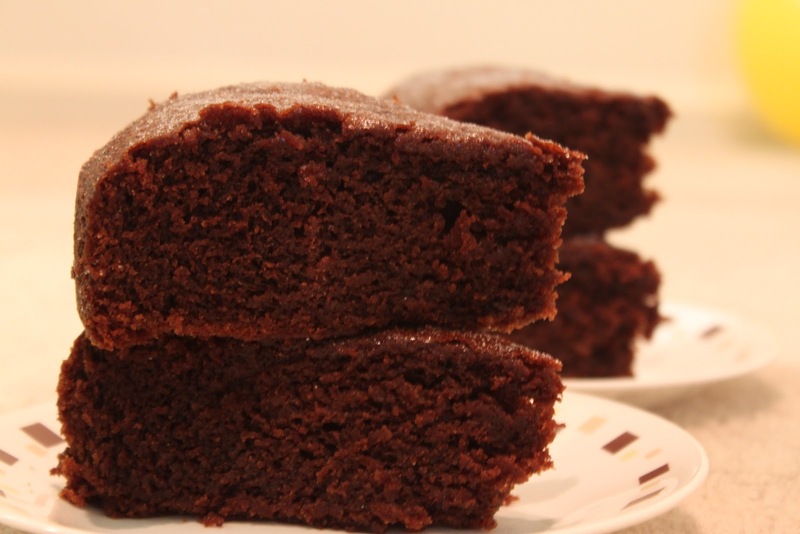 I got this superb recipe from my aunt (Kiran Mami) and baked it the night before her arrival, the cake turned out spongy, moist and irresistible. Mom loved it!! Hi! I added 2 cups of sugar as I felt I didn't want too much sugar as they would get too sweet. Again 11/2 tsp for baking powder and 1 1/2 tsp for baking powder. It came out really good? For cake I had to bake 40 mins. For small cupcakes 20 mins and bigger 25 mins. Hey thanks for pointing out…something seems to hv gone wrong will update!! If you reduce the amount of sugar it could serve well as a coffee cake…! !